When we imagine the robots of the future, they often look and move like humans, standing up on two legs and using a pair of arms to grab and move objects. 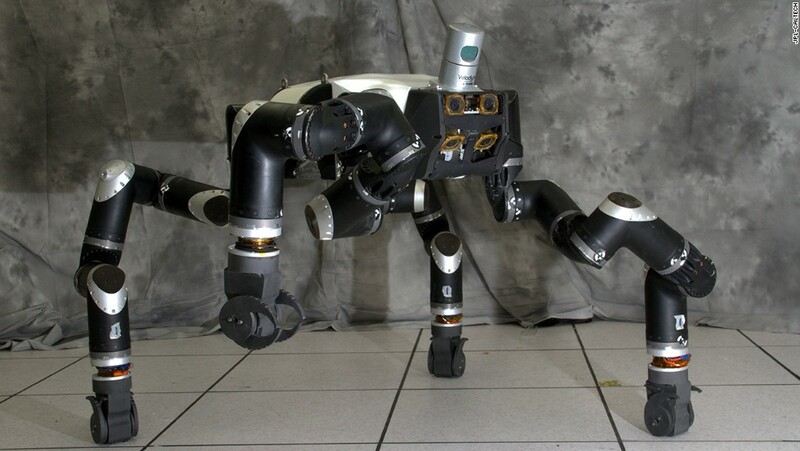 NASA’s Jet Propulsion Laboratory is working on a different kind of robot for disaster response that’s designed to move like an ape. In June, RoboSimian and up to 18 other finalists will have to make their way through an obstacle course that simulates eight common scenarios. Each robot will attempt to drive a car, move across rubble, use a tool and climb stairs, all without a human controlling it. DARPA says the final competitors should be as competent as a 2-year-old child. The winning team will receive a $2 million prize.